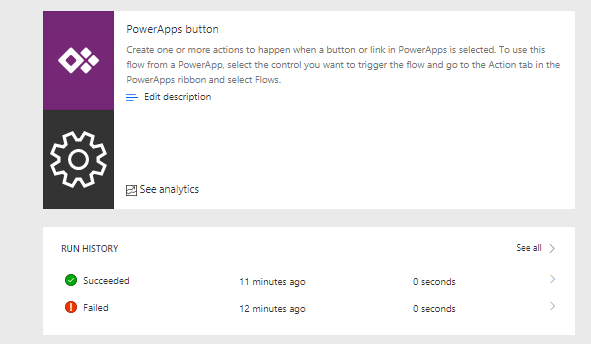 When you develop PowerApps you will quite quickly find that you can start your flow directly from your PowerApp. But is this the best way? Or is this the only way? I’m going to start simple by creating a clickable icon in PowerApps. In my case this is just a Add icon. And after one failed attempt my Flow ran successfully. Ok, this is great we can start a flow directly from an app, but we have to be careful. Quite often you might want to run a flow after the update of some data. Although it is perfectly possible to start my flows as part for the saving a piece of data it might be safer to start the flow once the data has been stored. 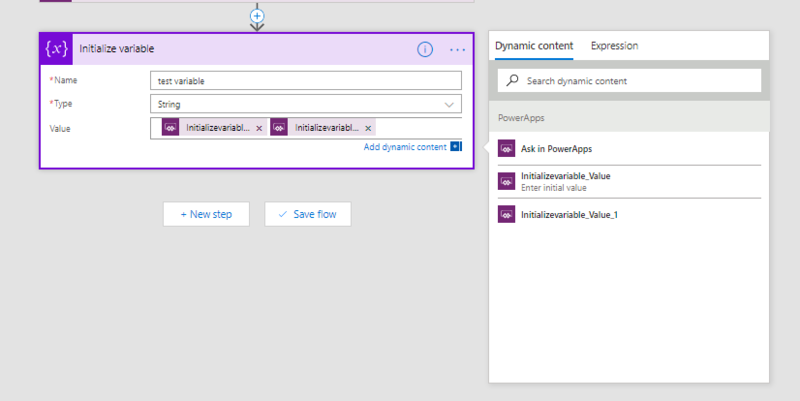 Yes, you could probably handle this in PowerApps, but when storing data in SharePoint list items, I would consider creating the flow that triggers on the list items creation or modification. There are of course always reasons why you would want a manual start of a flow. For example flows that are not immediate triggered by a data update. Or if you wanted to avoid the automatic starting of a flow. As we have seen in one of my previous posts it can be difficult to handle the automatic starting of flows if your flow includes updates of the triggering data.